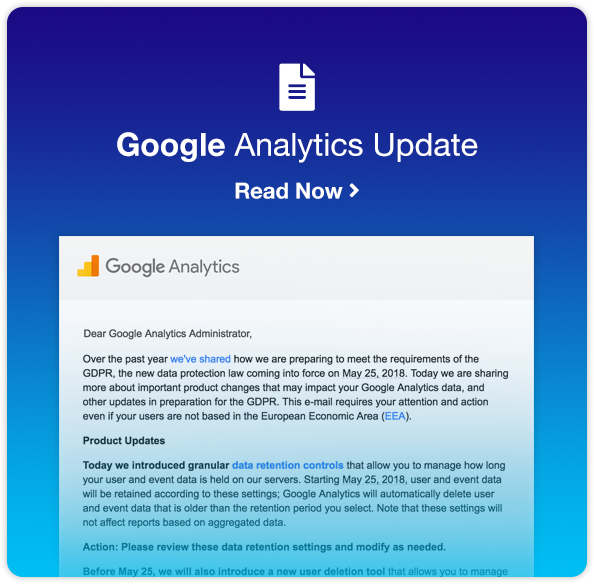 Google Analytics is launching a major update on Analytics Data Retention and General Data Protection Regulation (GDPR) coming into effect May 25, 2018. 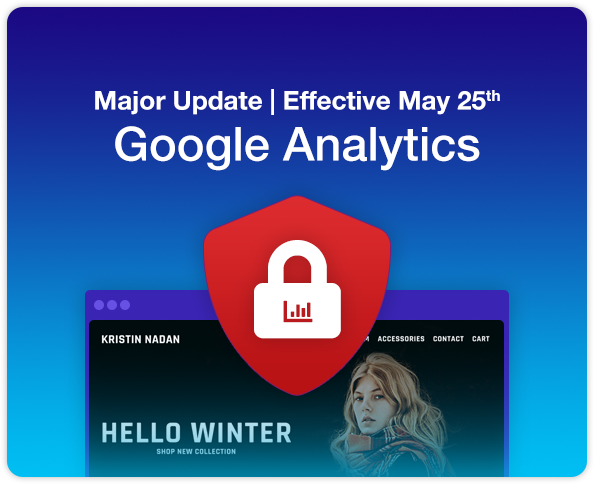 This major update brings many benefits to business owners. It enables business owners to have full control over how their data is used and shared. If you are a current Websites Depot SEO client, we will take care of the changes for you. If not, call us today at (323) 922-5959, or reach out via contact@websitesdepot.com and we will be happy in assisting you with this process.